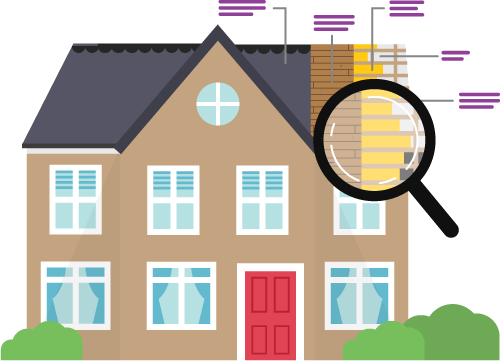 The most common type of property survey, the best choice if the property appears to be in good condition and has not been subject to significant alterations since construction. For properties more than 50 years old, made of unconventional materials (like thatch or timber) or if you intend to undertake extensive structural alterations. Why use Compare My Move to find a Chartered Surveyor? Our network of trusted Chartered Surveyors come fully verified and are all RICS accredited. Compare My Move only work with the professionals, and will always strive to ensure you are getting the best service right the way through your moving journey. We’ll save you time and money by connecting you with up to 5 verified Surveyors. Find fully verified RICS Chartered Surveyors. Our network of Building Surveyors have competitive rates. More than 63,500 movers saved with Compare My Move last year. Get connected with up to 5 RICS Surveyors and get comparing today. Buying a property will likely be the biggest purchase you will ever make. So, it really is important that you do things right. 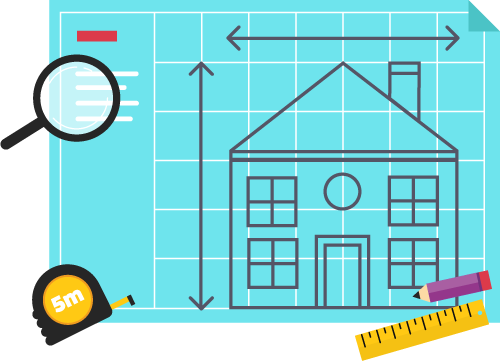 An accurate property survey will provide you with advice on the property, the construction and any potential environmental issues that may exist. There are various types of surveys available to you. Each has their own advantages and disadvantages. The more extensive a survey is, the easier it will be to identify any issues with the current property you are interested in purchasing. Find out more with our extensive collection of Survey Guides. 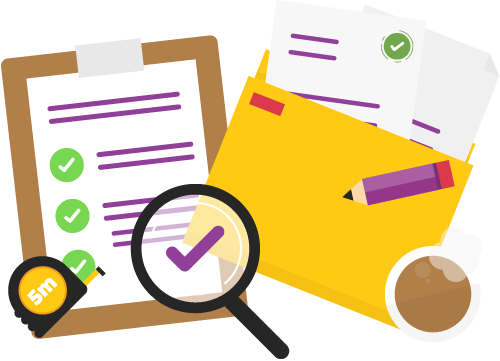 All property surveys must be performed by a verified, trusted and RICS regulated Chartered Surveyor. 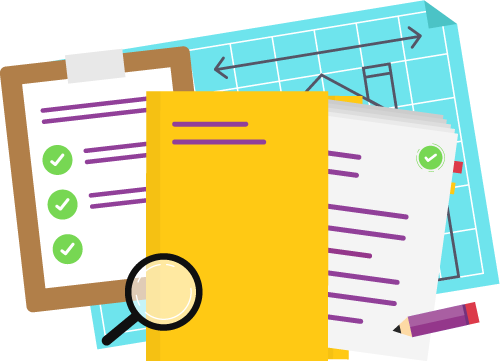 Simply fill out our 30-second form and compare the best RICS regulated experts today. What's included in a HomeBuyer Survey? A RICS HomeBuyer Survey is the survey likely to be recommended to most home buyers. This inspection efficiently covers the entire property on both the inside and outside. Areas of the home will be given a condition rating of 1, 2 or 3 and the report will cover all defects and anything that could have a detrimental effect on the value of the property. The surveyors you compare can also offer a valuation and a calculation of the insurance if requested or required. What's included in a Building Survey? A RICS Building Survey, formerly known as a ‘Full Structural Survey’ offers an in-depth and detailed report on the construction and condition of the building. Compare My Move would recommend this kind of survey if you are buying a thatched cottage, a large home, an older build house or a period property that you plan to renovate. It is important that you know that the building is safe and that the changes you plan to make can be safely carried out. The qualified Chartered Surveyor you find through Compare My Move will happily discuss the report findings with you. Using a professional chartered surveyor for your property survey will help you save time, money and stress. Meet some of our friendly RICS regulated chartered surveyors below and get connected with up to 5 reliable companies today. Maitlands Acorn Professional are an award winning RICS regulated chartered surveyors offering their services across Essex, London, Surrey, Sussex and Kent. They've been specialising in the residential and commercial property industry since 1983. Coomber Associates have many years’ experience of delivering their RICS approved chartered surveying service around Bournemouth and the UK. Their previous clients have been major hotels such as the Hilton, Marriott and Grosvenor House. Westview Propety Services have been providing a first-class chartered surveying service based in Greenford and all over Greater London since 2004. Their team have over 30 years’ experience in the industry, meaing they have invaluable knowledge. Compare the best chartered surveyors in your area. Save time and money with our quick and easy to use form. Compare and save today.